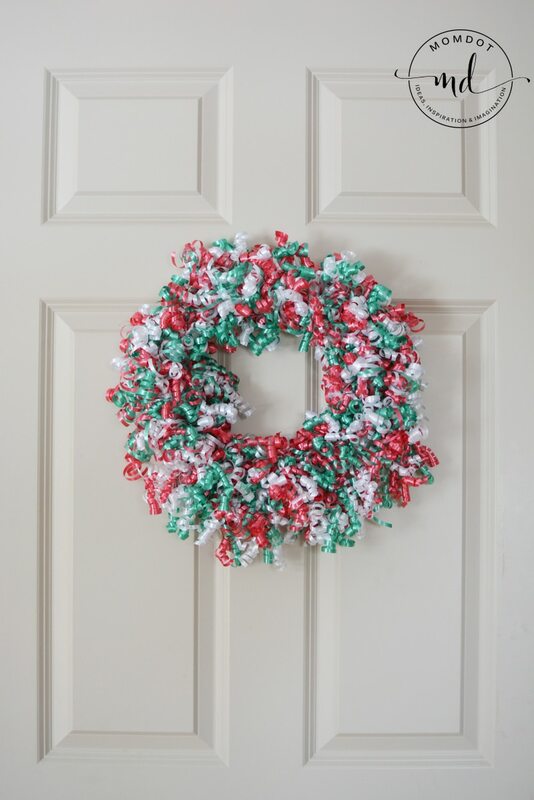 Learn to make a Christmas Wreath DIY with Curly Korker Ribbons, an easy idea that allows you to use left over curly ribbons (korkers) from all your holiday wrapping and turn them into beautiful decor! This is an artificial wreath tutorial that you will want to make over and over again for every seasonal holiday and will become a centerpiece for family and friends to love in your home. Skip the deco mesh and create a gorgeous one of a kind Christmas wreath this season. 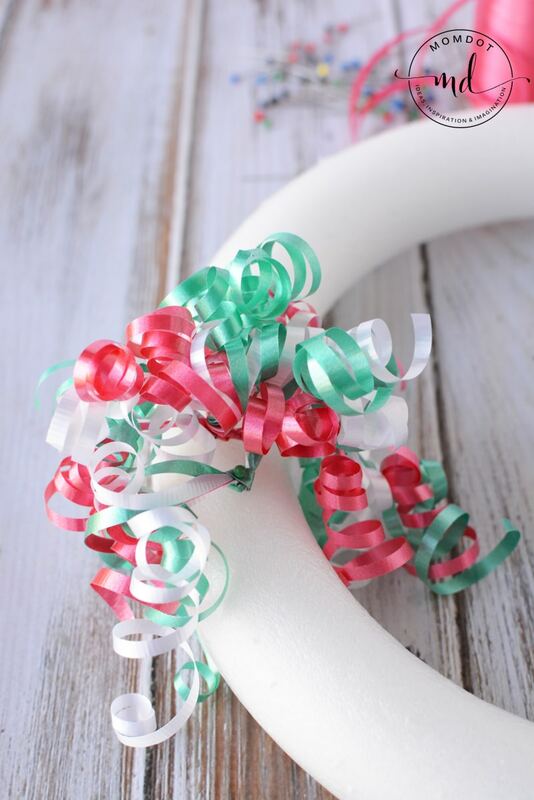 This super easy holiday tutorial is a great way to use all those extra curly q ribbons from your holiday wrapping. 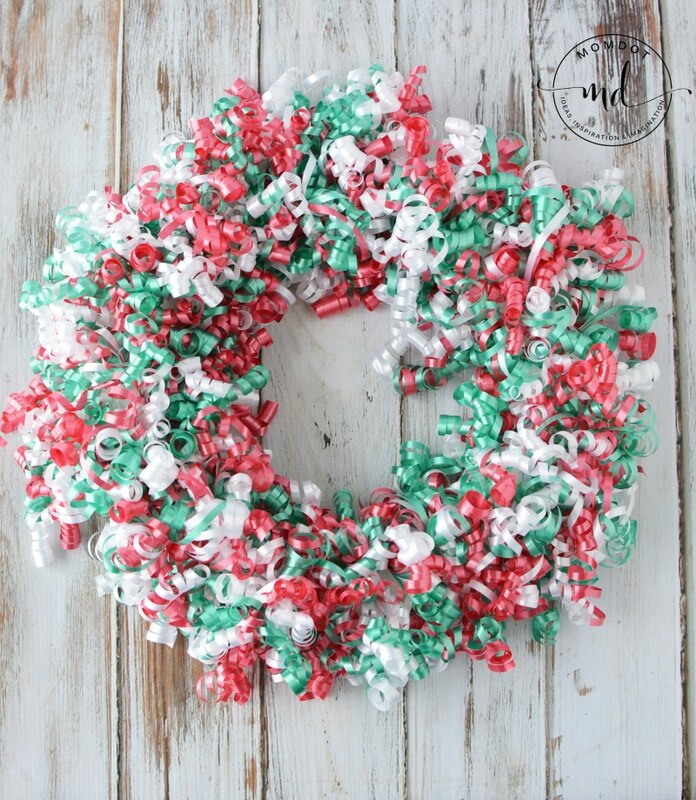 Because you can pick up so many colors and kinds of curly at a great price, this is also one of the least expensive kinds of wreaths you will make. Looking to make wreaths this season and need some easy DIY instructions? You came to the right place for some unique ideas! I adore making my own wreaths to hang on all the doors in my house, but I hate the expense. I swear that by the time I am typically done making a wreath I could have picked one up for my cheaper. You can hang this Christmas wreaths in the window or on the front door and they last longer than fresh wreaths. The thing about crafting though is that its not only fun, its a touch of personality and homemade that you can’t get buying at Target. 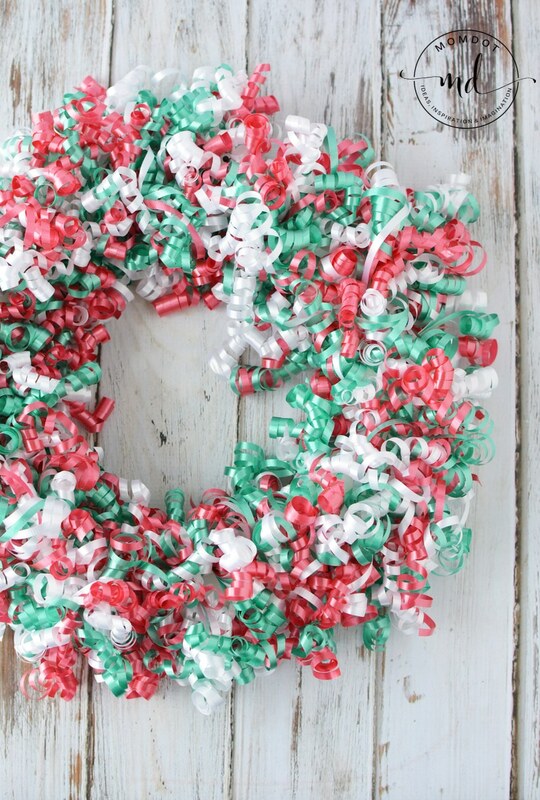 I think once you make this Christmas wreath you will want to make a few more for every holiday! Curling ribbons is about the easiest thing you can do crafting wise in front of the TV, so spend a night curling and a night sticking them in and VOILA! Let’s get started on this uber fun DIY. 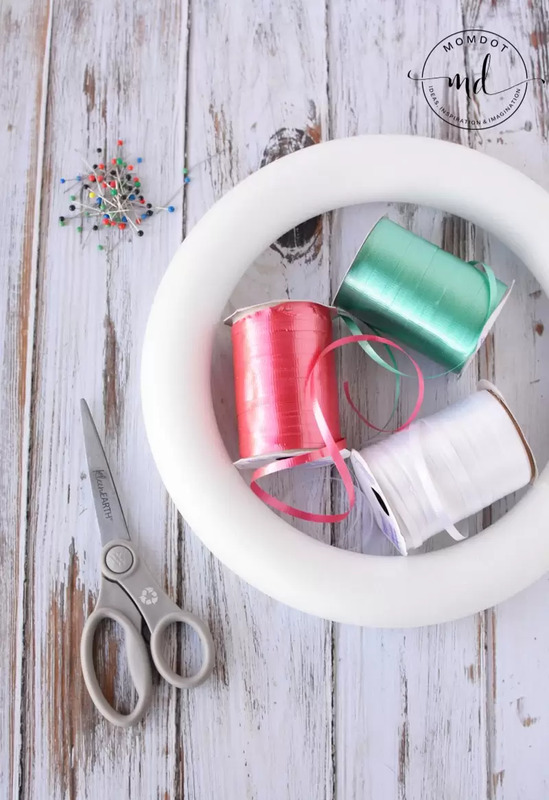 Unlike fabric ribbons, you can make this curly q ribbon wreath easily and just with scissors. If you prefer to do this with a fabric ribbon, learn how to make a korker ribbon that stays. This takes longer as you need to bake each ribbon but is a great way to have a long lasting wreath as well. In this case, we are doing a seasonal wreath and you will need to take care of the wreath so the ribbons do not fall. The tighter you do the curl, the better it will be long term for the wreath. 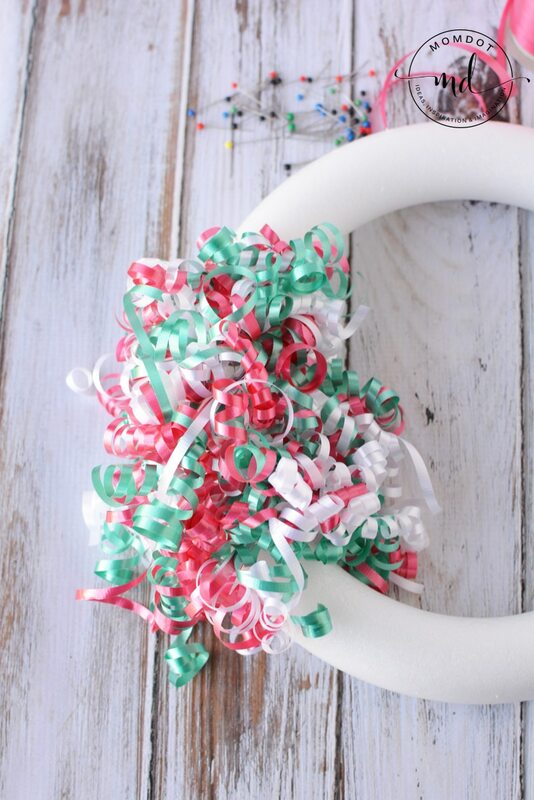 How Do I Make a Wreath with Ribbon? 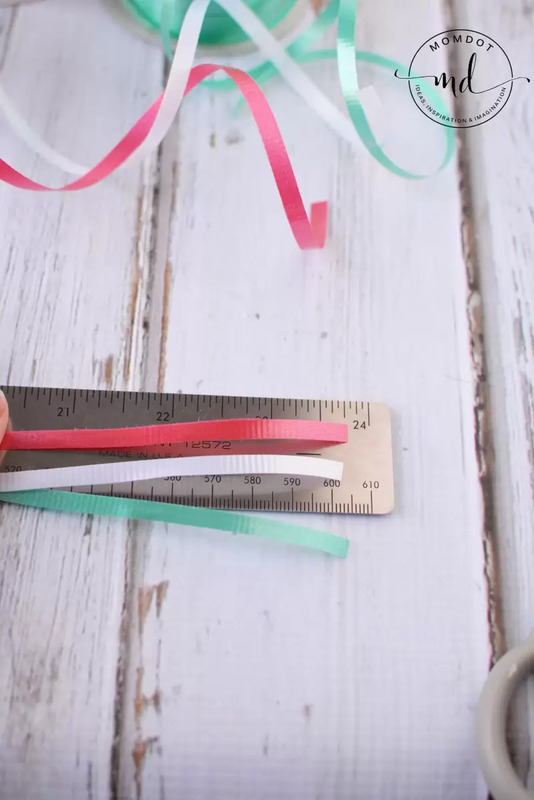 Cut 6 pieces of ribbon (2 of each color) 24″ in length and knot in the center. Use scissors to make the ribbon curly. Place a push pin into the center of the knot and place into the wreath form. Continue until the entire form is covered. Cut 6 pieces of ribbon (2 of each color) 24" in length and knot in the center. Continue until the entire wreath form is covered.